PezCycling News - What's Cool In Road Cycling : Strength Training In-Season – Folly or Fast-track? 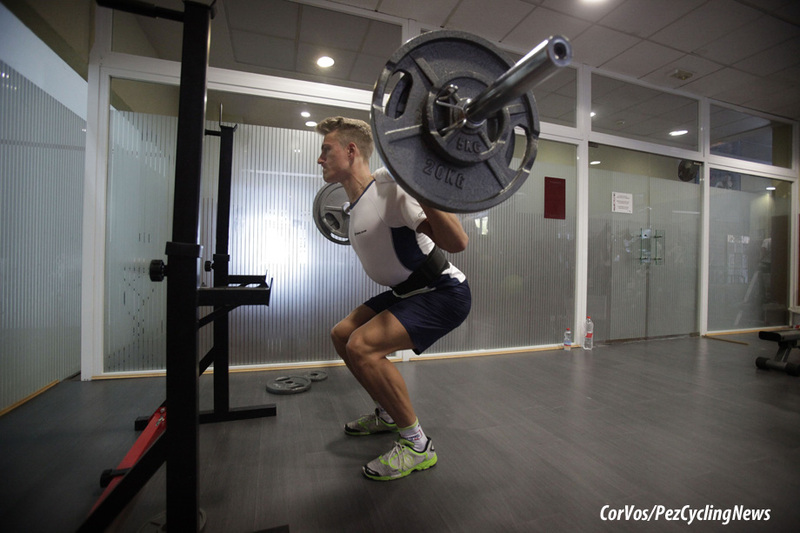 Strength Training In-Season – Folly or Fast-track? TOOLBOX: Lifting heavy weights during summer and race season may seem like the antithesis of training for cyclists. However, it might actually be the smartest thing to do and will pay off with big rewards down the line. Let’s start off with a quick history lesson, namely Seward’s Folly. For those non US history buffs, US Secretary of State William Seward purchase of Alaska from Russia in 1867 was seen as a huge blunder, but it turned out to be far better than anyone could have imagined. In the same way, "wasting" valuable time and energy during race season on strength training may seem like a massive folly. But think about it. Have you ever hit the start line mid-season feeling strong, fast, and super ready only to find that you underperform both from a power output and results standpoint? You go back through your whole training program from last fall all the way through the season to today, only to be completely bewildered. "I did everything right! Base, Build, Taper...I even took my strength training out in April when my riding time went up!" Putting a halt to your strength training in April is exactly the same as if you’d stop riding your bike from April until your peak ride or race. You wouldn’t expect to have the same results as if you’d continued to train and ride, would you? When it comes to strength training, the world of endurance athletics is still much behind the times. 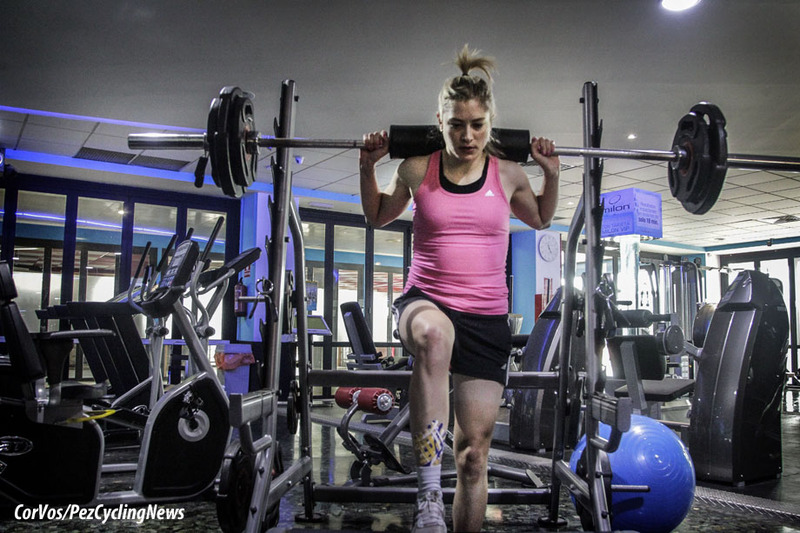 Cyclists and triathletes are just now beginning to come to the realization that by lifting HEAVY things correctly, they can see significant increases in performance. Lifting must be done throughout the ENTIRE training and racing year. During The Summer/ Race Season we should see Sets, Weights (and usually power) Go UP, While Repetitions Come Down. RECOVERY in between training sessions is the real aim of the game. Yes, I know you are going to tell me that there isn’t enough time in the day, and that you should be “focusing on the bike”, but here’s the truth: If you want to be fast, strong, and resilient, you need to continue to lift heavy things. This is actually far easier than many believe, as our strength training workouts during the season are going to be shorter (30-45 min), more pointed (fewer exercises), and yet, have fairly longer rest periods (2-4 minutes between working set) due to the desired response we’d like the body to have. Only lift lighter weights for higher reps. However, both of these, for the most part, are leaving many of your “gains” - for both on the bike and off- on the table. Stopping strength training completely will see many of the gains in strength you’ve made slip away, as you’re no longer pushing the body for adaptations. Meanwhile, those lifting lighter weights for higher repetitions are leaving the power and strength they desire for in-sport performance somewhere in the corner to gather dust. While there is a time and a place for lighter weights and higher reps, believe it or not, that time is in TRANSITION PERIOD, otherwise called “The off season”. This is where we are looking to allow the body to repair and recover from the long season, and allow you to “refill your cup” so to speak. During our main riding or racing season, we actually want to be lifting relatively heavy things, for fewer repetitions (think 3-5 repetitions) and between 2-5 sets, depending on your ability to recover (more on that in a little). When we lift heavy things, and especially things with great technique with explosiveness, such as a Kettlebell swing done properly, we are increasing the bodies ability to create stiffness at its center, in order to produce power at our limbs. If you’d like to learn more about the importance of creating stiffness to create power, you can listen in to this “The Strong Savvy Cyclist & Triathlete Podcast” episode here. While we like to think that strength just “sticks around” after doing strength training for a few months, we actually will see a decrease in strength, and perhaps more importantly in the abilities of the body’s many tissues to keep the changes we’ve worked so hard to build. But if we just keep enough pressure on the body, and the systems, we can see great gains through small amounts of focused, quality work. This is where the in-season strength training will be very different than what you did during your transition or base. We want 2-4 sets of 3-5 repetitions for the major movements, such as hinging, pulling, and pressing, which will allow us to keep our bodies in better balance, training just 1-3 days a week. Yes, you read that correctly, we want to do VERY LITTLE of the movements that look like what we do on the bike. Instead we do the OPPOSITE! While we will do some squats and pushes (i.e. bench press) as we need to keep those movements strong, we will, in fact, do FEWER of them because of the massive amounts we already are getting from our sport. We’ll look to do all of these movements POWERFULLY, with GREAT technique, allowing us to improve our body’s Inter- and Intra-muscular coordination, helping us to move far better and more efficiently. Both incredibly important for any sport performance. When you train, there is not a lot of fitness that you actually gain, the fitness actually builds when you are resting and recovering. Now here’s the awesome thing about recovery: You can actually aid recovery, by doing another activity that helps the body be challenged in ways OTHER than your chosen sport. 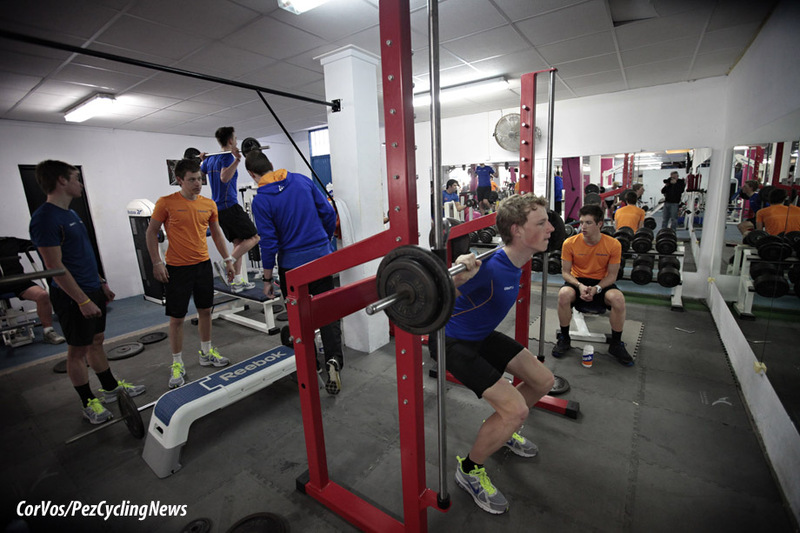 And for our sport of cycling, strength training done properly, can be a key player. Working through a well designed training program that helps decrease your risk of developing an overuse injury due to repetitive movements (such as riding a bicycle for many hours a week), and that challenges the body to work in a different fashion, such as contracting the muscles in a different way than our sport, can actually BOOST performance. The kicker here, is that you MUST make sure to be eating properly, i.e. lots of fresh produce, especially dark, leafy greens, along with ample protein (around 1.4-1.8g/kg) and fats (around 30% of total dietary intake for most females), along with high quality and restful sleep on a regular, consistent basis. If you’re off the mark with either of these 2 integral items, you can add strength training or more of any kind of training that you would like, but you’ll be filling a bucket with 2 huge holes in it. Strength training during the season can significantly help you increase your on-bike abilities, help keep common aches and pains at bay, and help you stay leaner and more powerful through the whole riding season, whether you’re aiming for a top step on a podium, or simply want to ride the whole season feeling strong, healthy, and powerful. Understand what it is you’re actually looking to accomplish in the weightroom, and how and WHY it will help you ride strong, and don’t be afraid to pick up heavy things (with great technique) in ways that are DIFFERENT than what you do for so many hours a week on the bike, and feel for yourself the difference intelligent strength training can make in YOUR riding and training!